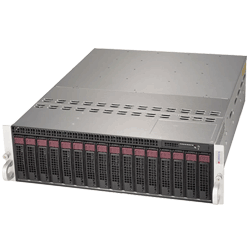 Supermicro MicroCloud Servers 8, 12 or 24 UP nodes in 3U. 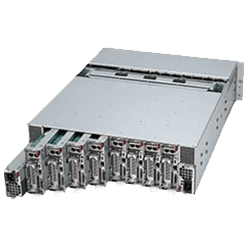 Supports Intel Xeon processor E5-2600 v2, E3-1200 v3 families, or AMD Opteron. 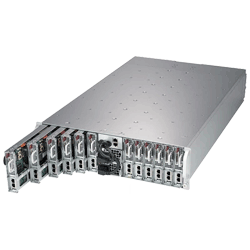 and hot swap drives. 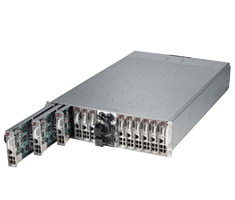 Will Jaya's MicroCloud Computing available in 8/12/24 server nodes in 3U. 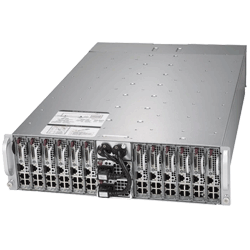 Supports the following Intel processor families - Atom Processor C2750 Series / Xeon E5-2600 V2 / E3-1200 V3. 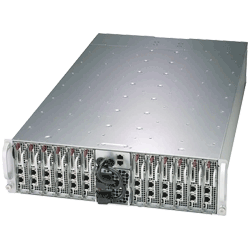 High-Density, High-Performance, High-Efficiency and Cost Effective. 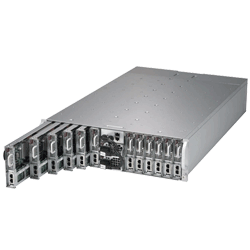 These space saving systems makes an excellent expansion with 1 PCI-E 3.0 X8 LP slot per node. 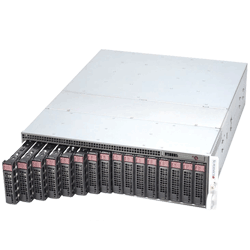 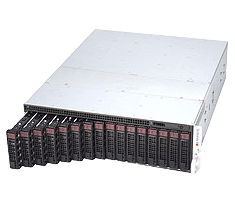 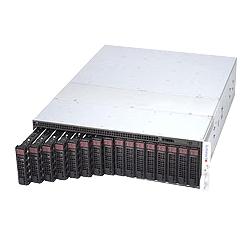 The energy-efficient 3U MicroCloud (SYS-5038ML-H24TRF) features 24 modular server nodes in 12 hot-swappable trays, each node supporting an Intel® Xeon® E3-1200 v3 product family processor, 32GB VLP DDR3-1600MHz UDIMM, 2x 2.5” SATA3 (6Gb/s) SSDs, dual Gigabit Ethernet LAN, and redundant 2000W Platinum Level Digital high-efficiency power supplies.